GravityFit is a revolutionary system based on science, used on the tour by players including Australia's Cameron Smith. It is aimed at whole body exercise and rehabilitation that originated from a lifetime of research on core stability by world renowned expert Professor Carolyn Richardson. Space research with the European Space Agency (ESA) allowed Professor Richardson to recognise the importance of Gravity to human health by studying human muscle function when Gravity is removed (i.e. microgravity). GravityFit strengthens the muscles you need to heal, live and perform at your peak. Simply, GravityFit training optimises the function of the deep muscles that protect and support your spine, keep your bones and joints strong and allow efficient and powerful movements during physical activity or sport. Perhaps the most obvious example of not using our gravity muscles effectively is when we slump. If your gravity muscles are strong, especially your spinal core muscles, you naturally have good posture and your spine and joints are protected from injury and pain. Core body performance is optimised when your muscles are doing what they are designed to do. The GravityFit system uses a range of exercise tools, devices and programs to progressively increase the sensory effect of Gravity to activate and strengthen the gravity muscles that provide the framework for effective stability and movement whatever your physical needs and ability. By targeting and strengthening these deep muscles, GravityFit aims to improve performance, assist in healing or provide the basis for a healthier, more active lifestyle. The GravityFit (swing kit) is a great looking well manufactured piece of kit. First impression is it looks quite complicated but once you read the instructions or watch the YouTube videos it all becomes easier. You can tell a lot of thought has gone into how it was made as a lot of strain can be put on the "tubes" when in use. It all feels very sturdy and well made. Comfortable once it’s on and very functional. For someone who struggles with my back and shoulders, I felt this was a great aid for both fitness and to aid my swing. I've been using it for a while now to try and get the best out of it and I'm very impressed with what I've gained from it already. At no time have I felt it would not be able to do whatever task I was trying to achieve from the numerous videos linked to using the GravityFit. Very versatile and GravityFit put loads of instructional videos on their YouTube channel along with social media activity to show and help you to use it. Can be a bit fiddly getting it on and in the right place, but it gets easier the more you use it. 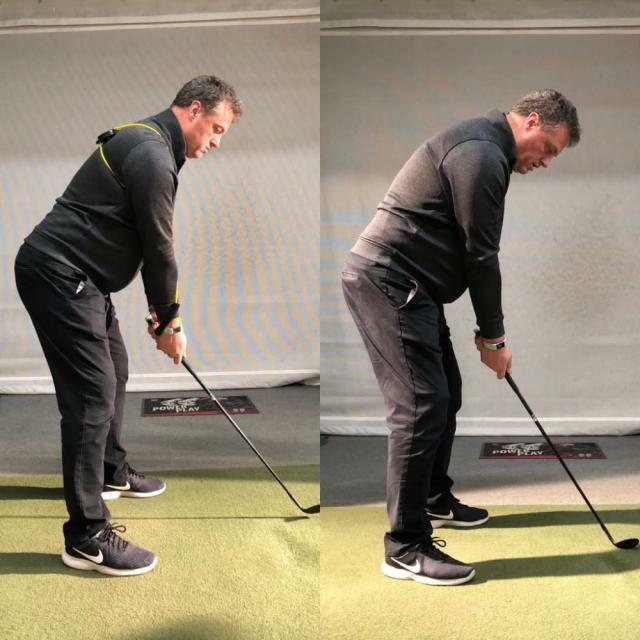 This is Phil Lathwood's (PGA Pro at Churchill & Blakedown) feedback: "On first glance the GravityFit TPRO system may resemble a Tin Cup scene that every golfer can relate to. However, once you step out of Kevin Costner’s shoes and start to understand how to use it (and wear it) the instant initial feedback in postural setup has you questioning; "how bad was my setup before?" and "are these the muscles I am meant to be using?" "The benefits to your posture are just the start. The TPRO really starts to work when you start swinging. The feeling of a more connected golf swing and the feeling of correct rotation is something that some golfers will have never felt before. feelings can take some work and training and you definitely need to follow the instructional videos on YouTube, especially if you are not working with a qualified golf instructor. If you have good back mobility and stability you will reap the benefits after a few swings, but busy, modern lifestyles are not conductive to good back mobility and stability. 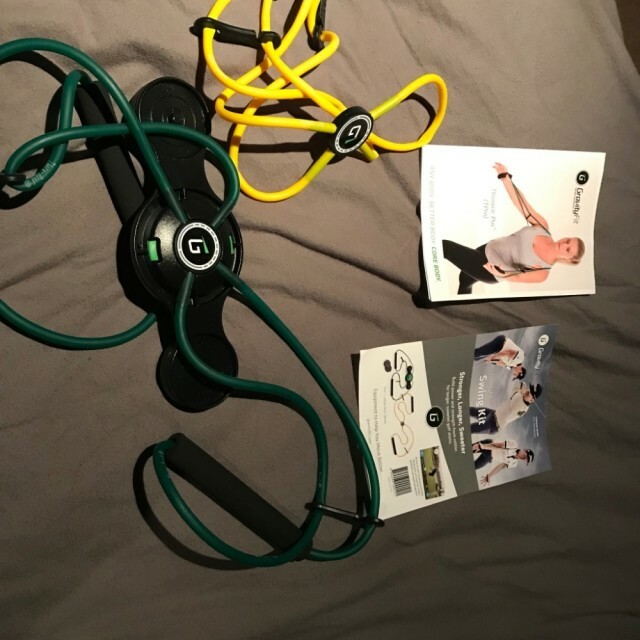 "GravityFit have a range of great tools and exercises to condition your back and spine for better golf, this is where this training aid differs from the rest. As a golf coach it can be hard to get a golfer to understand the correct posture and the correct movements in the golf swing and the majority of the time this is not down to misunderstanding, it’s down to poor back health and the golfer physically not being able to get into that position. "Using the TPRO I am able to give specific exercises and stretches to clients to help gain more rotation, more efficient movement, improved injury prevention and this all leads to better and more enjoyable golf." For more information on GravityFit, visit https://gravityfit.com/golf/.